Business Arrow Profit Concept PowerPoint Templates And PowerPoint Themes 1012-Develop competitive advantage with our above Template which contains an Arrow breaking the floor and coming out to signify the concept of Success. This Template can be used for presentations on accumulation, acquisition, advancement, advantage, aggrandizement, augmentation, avail, benefit, bottom line, cleanup, earnings etc.-Business Arrow Profit Concept PowerPoint Templates And PowerPoint Themes 1012-This PowerPoint template can be used for presentations relating to-"Arrow profit concept, business, success, arrows, signs, finance" Exceed estimates with our Business Arrow Profit Concept PowerPoint Templates And PowerPoint Themes 1012. Your ideas will deliver a breakthrough. 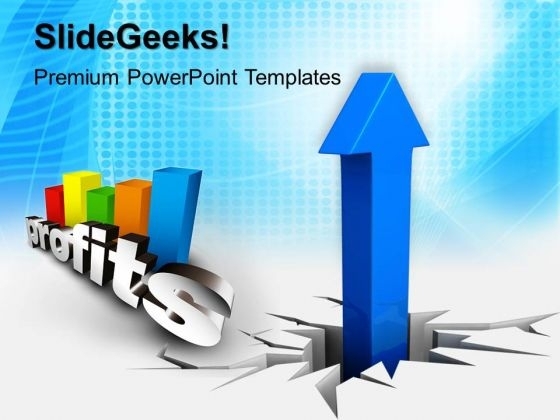 Fetch up with our Business Arrow Profit Concept PowerPoint Templates And PowerPoint Themes 1012. You will be applauded wherever you go.